As a teacher leader, I have worked in a number of capacities to help write and recommend policies to improve educational outcomes for students in California. I served as a Commissioner on the California Advisory Commission on Charter Schools, ensuring policies were in place to provide adequate oversight in the authorization and re-authorization of charter schools. for the development of comprehensive recruitment, training and preparation frameworks for new and experienced educators along with policy recommendations for with policy recommendations for differentiated career continuum models. A frequent contributor to the Accomplished California Teachers blog, InterACT, I blog about policy changes necessary to ensure all students have equitable access to an excellent education. Kelly Kovacic believes in the fundamental right of all children to receive a high-quality education. 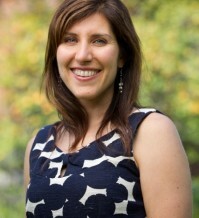 During her ten-year tenure at The Preuss School UCSD, a public charter school serving low income students who will be the first college graduates in their families, Kelly helped create equitable learning environments that successfully supported a culture of academic risk taking, intellectual curiosity, and development of both scholars and citizens. In addition to teaching and chairing the Social Studies Department, she developed and administered the school's peer tutoring and internship programs, Saturday Enrichment Academy. Currently, Kelly is working towards her doctorate in Education Leadership (Ed.L.D.) at Harvard's Graduate School of Education.